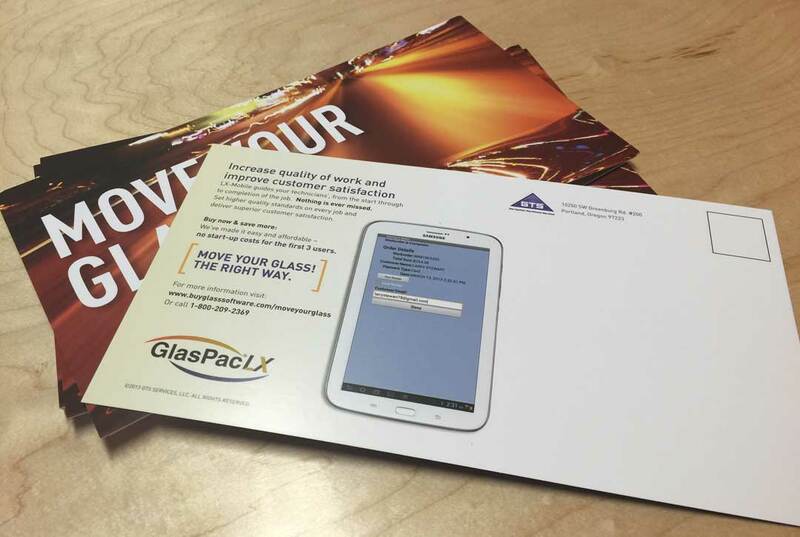 This postcard campaign was created to promote the new mobile app for GTS providers. 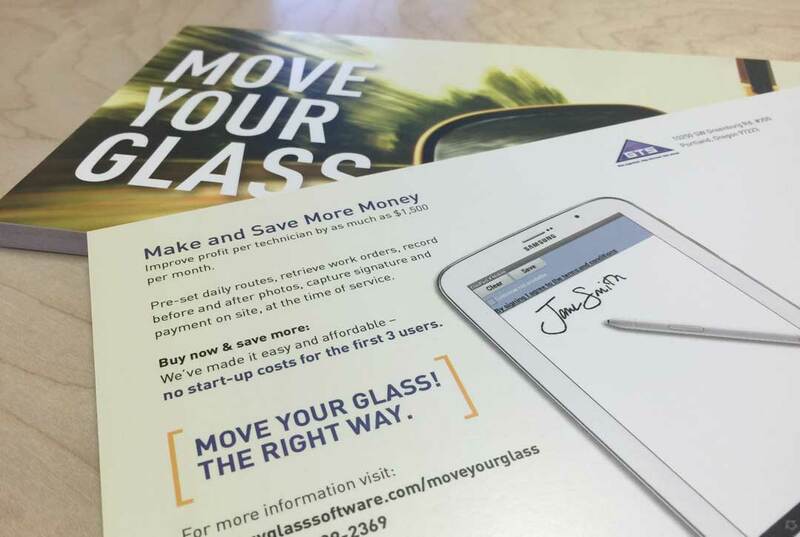 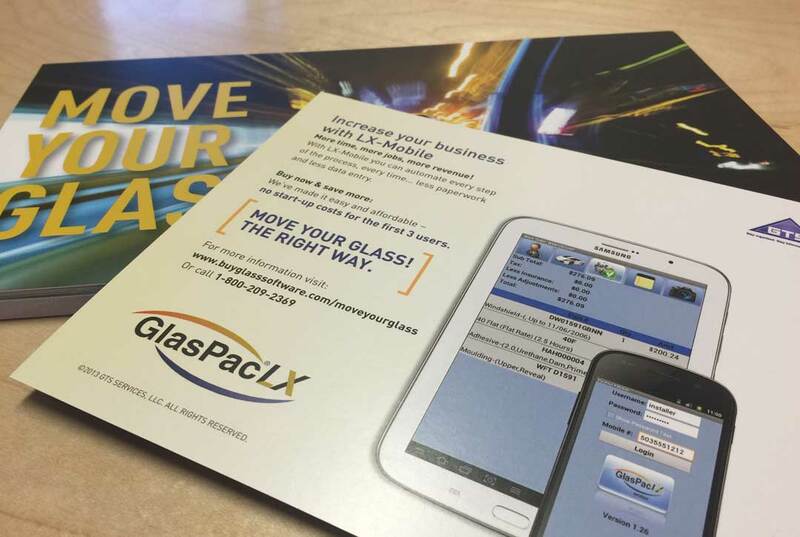 The app allowed glass companies to take their business on the road and bring their services directly to their customers in real time. 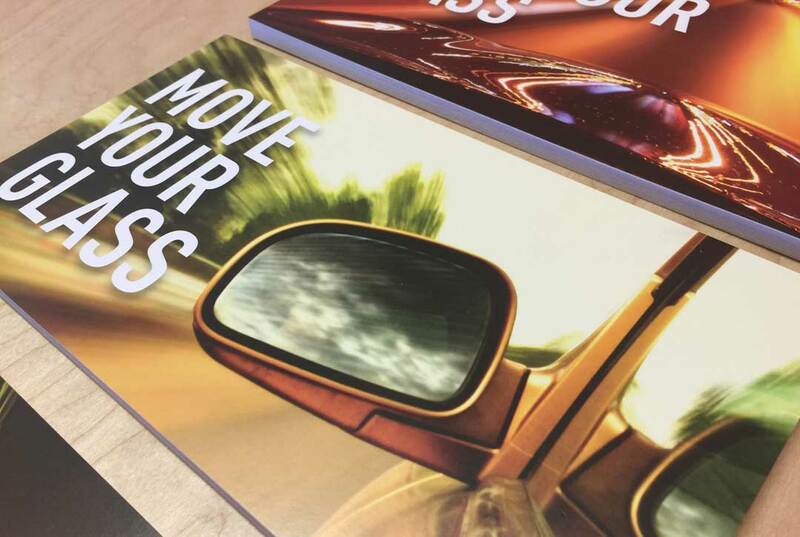 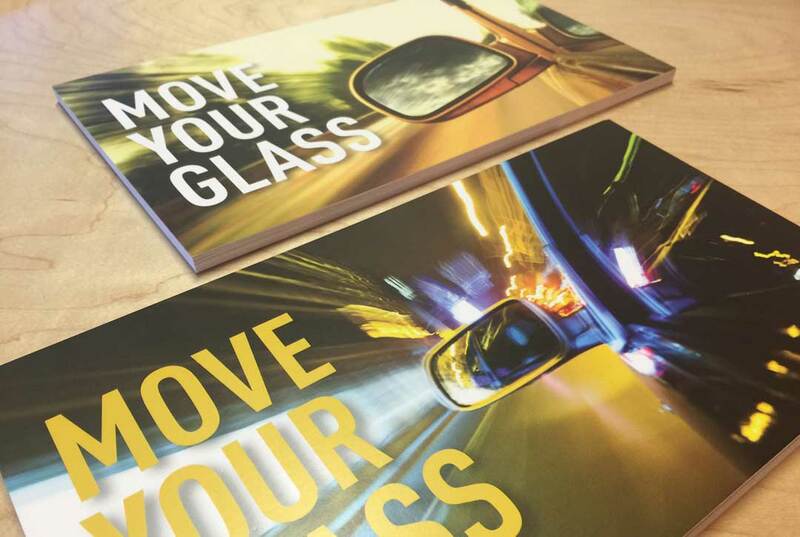 The concept behind this campaign was to create the visual excitement and inspire the viewer to get moving! 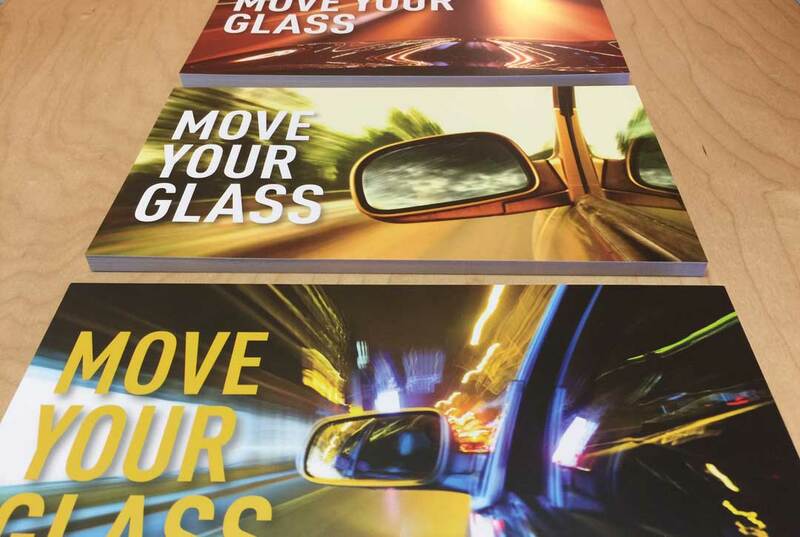 The postcards targeted a young, service-oriented market, so the play on words with the headline was well received.